•	Ecco customers will be entitled to free standard US shipping when they place an order of at least $175 on the website. Customers can also get express and overnight shipping for their orders at a premium, and the company ships to more than 90+ countries around the world. •	Use the coupon code “20ECCO” and you can save 20% off of a single item in your shopping cart instantly. Other coupon codes like this will be sent out to email newsletter members regularly. Sign up for a free membership when you visit the site. •	The OUTLET section of the Ecco store is home to the deepest discounts you’ll find on shoes and other products. Expect to save up to 20% and more off of merchandise when you shop this area of the webstore. Ecco is a comfort shoe manufacturer that specializes in footwear for athletic and professional purposes. On their website you can take a look at the products that they have that are currently trending. These styles are advised for the more fashion-forward shoppers that are looking for unique yet comfortable footwear. The “Sport” section is filled with athletic footwear that you can wear for running and playing sports. Ecco also has a collection of leather goods outside of their shoes that you can use around the office and every day. If you’re looking for a specific line of shoes, be sure to visit the “Collection” page. 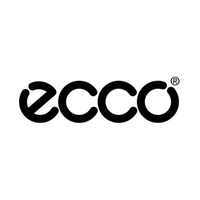 For most up to date offers check out Ecco on Facebook and Twitter or contact Ecco Support for any questions.